The art dedicated for designing cloths and lifestyle accessories is known as Fashion design; this art may have social and cultural influence for any place and time. It is generally intending of some seasons. Commonly Summer to spring or Winter to autumn. Fashion designers can be work in many ways. A full-time job for any one-fashion company which is said to be “internal designers”. They may work single-handedly or in teamwork. And on the other end there is a type of worker who work independently known as “Freelance designers” fashion houses are their big customers. In addition, chain stores and clothing manufacturers are their big clients. Some of them work under their own labels. Fashion designing is preferred by many people’s for a better career also unlimited opportunities available in this field. There two categories of qualifications are needed if someone choose fashion designing career.After your schooling, you need to get admission into a reputed fashion school, drawing, painting and computer graphics is necessary for creativity development. However the educational requirements are not too important only ability and talent is necessary. You must be fast for combine colors, shades and textures also your designs shows your thoughts. 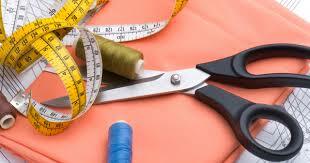 You must try to choose any recognized fashion Institute for your fashion course. whatever a short certificate course or a full-time course it will be according to your need.